Do you have pain in your jaw and difficulty chewing? You may have TMJ. At Birchmount Dental Group, we are proud to offer our patients bite therapy to restore proper temporomandibular joint function. The temporomandibular joint (TMJ) acts like a sliding hinge, connecting your jawbone to your skull. You have one joint on each side of your jaw. TMJ disorders — a type of temporomandibular disorder can cause pain in your jaw joint and in the muscles that control jaw movement. 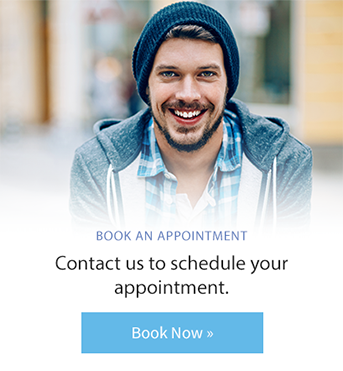 Birchmount Dental Group offers bite therapy. The purpose of bite therapy is to align the teeth and jaw bones so they don’t become over worked. Overworked jaw muscles can be extremely painful. This muscular and structural instability can result in unfavourable oral conditions. The treatment of TMJ depends on the severity of it. Treatments include soft diet, medication and sometimes custom orthotic appliances called a bite split. The bite split is designed for a patient’s unique case and sits on top of the bottom teeth. It realigns and redistributes the muscular forces on the TMJ, while guarding and guiding specific joint movements.